Conveniently control and monitor your RadioRA 2 system from your iPad®. With the Lutron Home application, you can customize your system's energy saving, keypad, thermostat, and time clock programming. 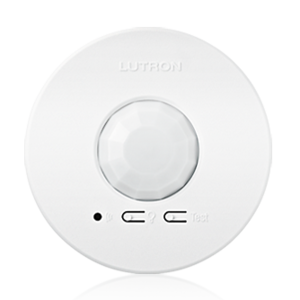 Give your customers the added convenience of controlling light and shade levels in a particular room, or throughout the home-at the touch of a button. Create just the right mood or ambiance for any activity-and do it with stylish products that will complement their home's décor. Add some "wow" to your customers' homes by enabling them to control lights and shades from a wall control, hand-held remote, or tabletop control, in a specific room-or remotely from another room-or even outside the home. Create scenes of light for any activity: reading in the bedroom, watching a movie in the media room, making breakfast in the kitchen, or relaxing in the tub after a long day. With a total home control system, you can adjust lights, shades and temperature to the specific level you want, in a particular room, or throughout your house - at the touch of a button. Save energy with wireless total home control from Lutron® Homeowners today want to cut costs and protect the planet. With RadioRA 2 they can do both of those things. If you dim a standard halogen or incandescent light bulb by 25% you'll save 20% energy. Dim more, and you'll save even more. Less energy used also means reduced CO2 emissions from power plants. With Lutron electronically controlled shades, your customers will be able to lower their cooling costs in the summer or keep their homes warmer in the winter by blocking or harnessing the sun's energy. PC setup tool saves time during design and programming-define zones, light and shade levels, occupancy/vacancy sensing, and more.